Michigan Medicaid: Who Qualifies for Medicaid in Mich? Medicaid is a federal and state program available for uninsured individuals and families who cannot afford their medical expenses. Although Medicaid is a nationwide program, each state has its own eligibility requirements and rules when it comes to coverage. In Michigan, there are a variety of programs and groups that you may qualify for under the Medicaid program. For example, there is a LIF or low income family group. Families who meet income requirements and/or who are enrolled in the Family Independence Program, or FIP, automatically qualify. There is also a Special N Support program for families who still cannot afford their medical expenses but who do not meet income eligibility requirements because of child support payments. TMA, or Transitional Medical Assistance, is for families who went from the FIP program to gainful employment but cannot yet afford insurance or medical care. Low income adults without children may qualify for ABW which stands for the Adult Benefits Waiver or the AMP which stands for the Adult Medical Program. These adults do not qualify for Medicaid but also do not have insurance and cannot afford their expenses. 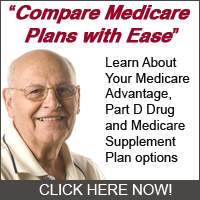 There are other programs as well for elderly and disabled adults. Pregnant women are another group that often qualify for Michigan Medicaid coverage. Healthy Kids for Pregnant Women is available to qualified applicants. This program covers a pregnant woman through the duration of her pregnancy and two months postpartum. Group 2 Pregnant Women is a program for women who make too much income for Medicaid but who still need medical assistance. There are also a variety of medical assistance programs for children also. Healthy Kids is a program for children under the age of 19 who qualify for Medicaid. There are other programs for kids whose families may make too much for traditional Medicaid but who still need medical financial help. If you have any questions about Michigan Medicaid or would like to apply, you can visit the Michigan Department of Community Health in person or online. When you apply for coverage, you will be assigned a worker who can assist you and answer all your questions regarding eligibility requirements, verifications and coverage details.